Raise your hand if you watch Flipping Vegas? 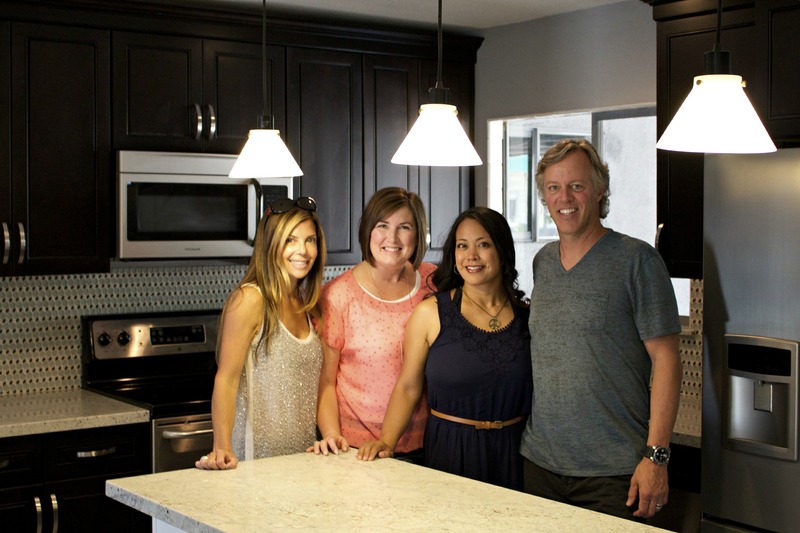 Do you feel like you know Amie and Scott Yancey? Don’t we all feel that way when we watch a reality show? Please tell me I’m not the only one. 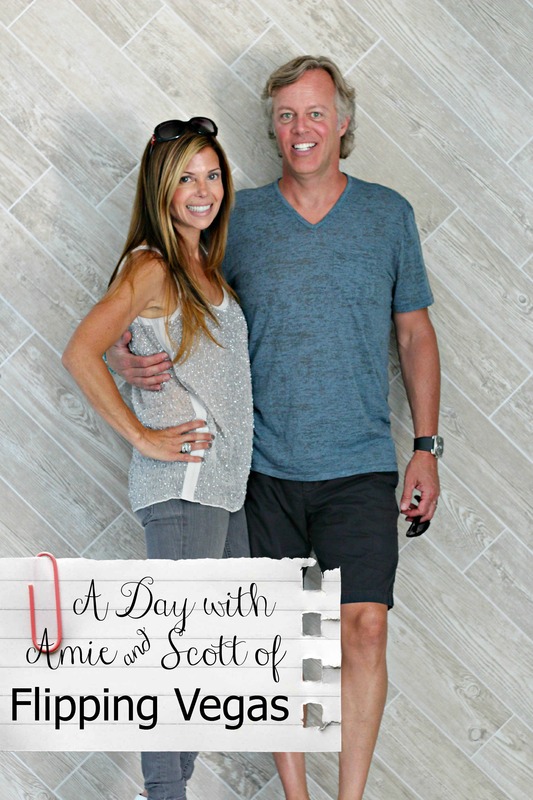 I was invited to spend the day with Scott and Amie where we visited Amie’s favorite place to shop for home supplies and then checked out a couple finished houses. If you’re not watching Flipping Vegas yet you’re going to want to put it on your watching schedule for this next season. This picture pretty much sums up our day. It was taken when we first met and we were already having a great time. At least I was! Side note: I need a tan! We met at the Monte Carlo Resort and Casino then piled in the cars and headed for our first destination, with the boys in Scott’s car and girls in Amie’s car. Besides spending the day with Scott and Amie I also got to spend the day with another local blogger, Cee Cee. It’s wonderful meeting new people and experiencing new things. 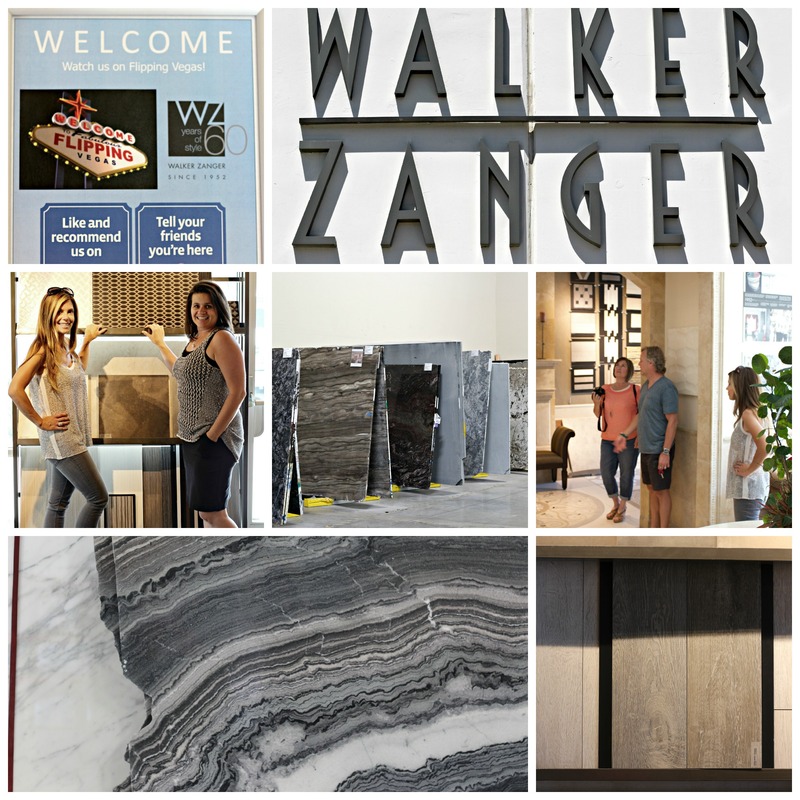 Our first stop was Walker Zanger. This is Amie’s home away from home. 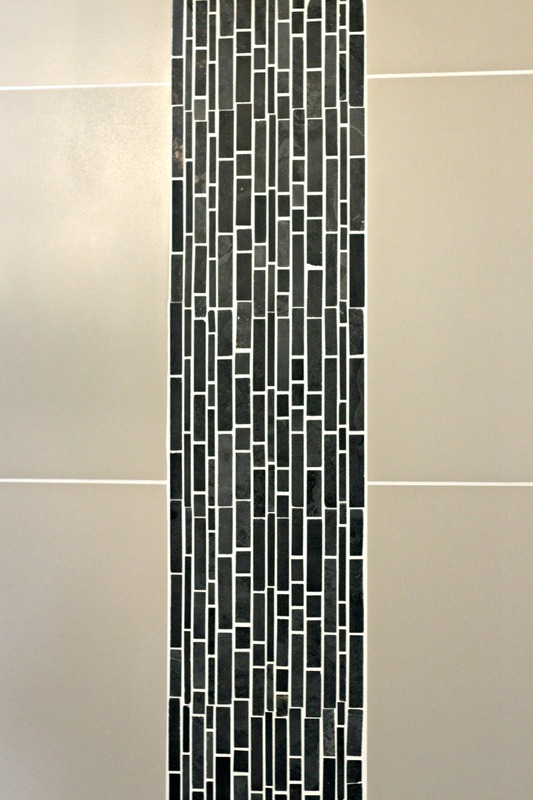 It has a gorgeous showroom full of beautiful tile, stone, glass, porcelain, marble, granite, and more. I can see why Amie loves it here and she has such a great working relationship with Michelle. 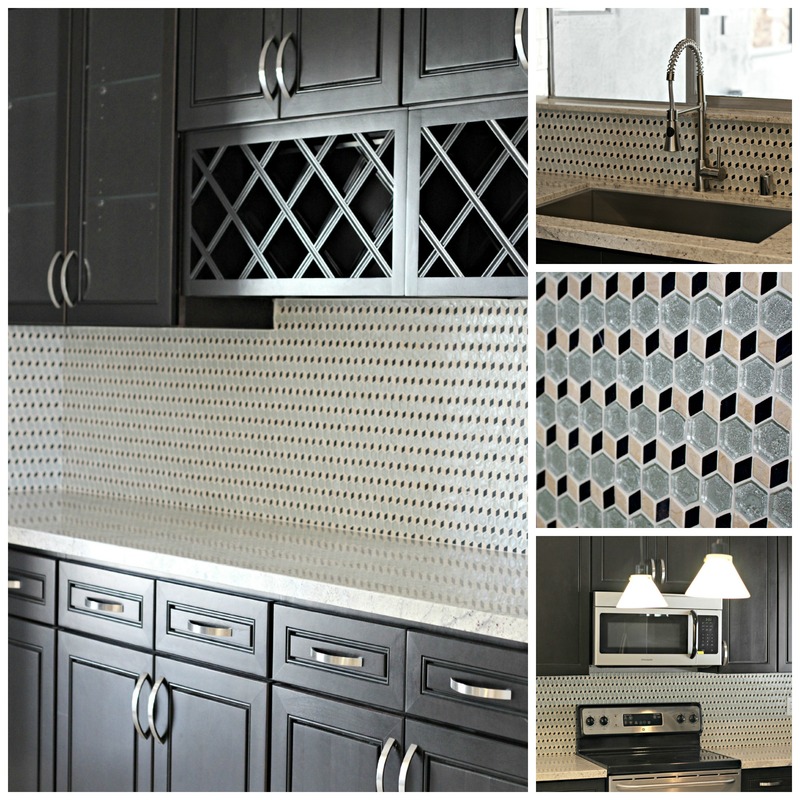 Amie and Michelle work together to mix high end and reasonably priced elements to create a beautiful upscale kitchen and bathroom for a reasonable price. I was in awe of the beautifully stocked showroom, but the warehouse was even more impressive. The huge pieces of stone slabs were all touch worthy. I think we walked around touching almost every piece. 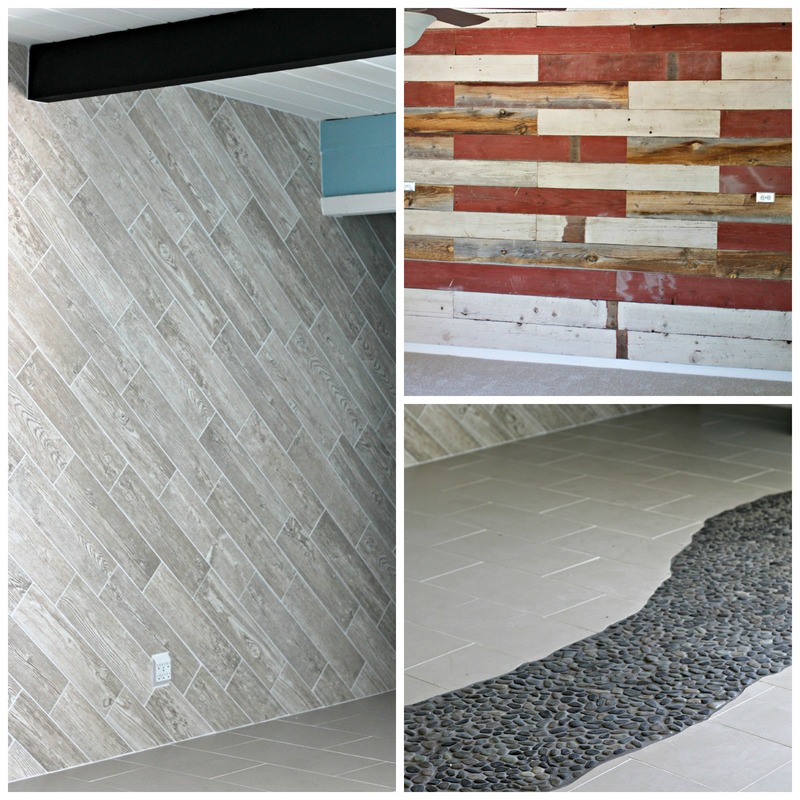 Amie and Michelle showed us some of their favorite slabs and some of the slabs that have been used in homes on Flipping Vegas. The guys were ready to leave by this time so we were on our way to our first house. Look for these homes in upcoming episodes. The transformations are incredible. I love that by Scott and Amie flipping these houses they also improve the neighborhood. You could see signs of it in both neighborhoods. 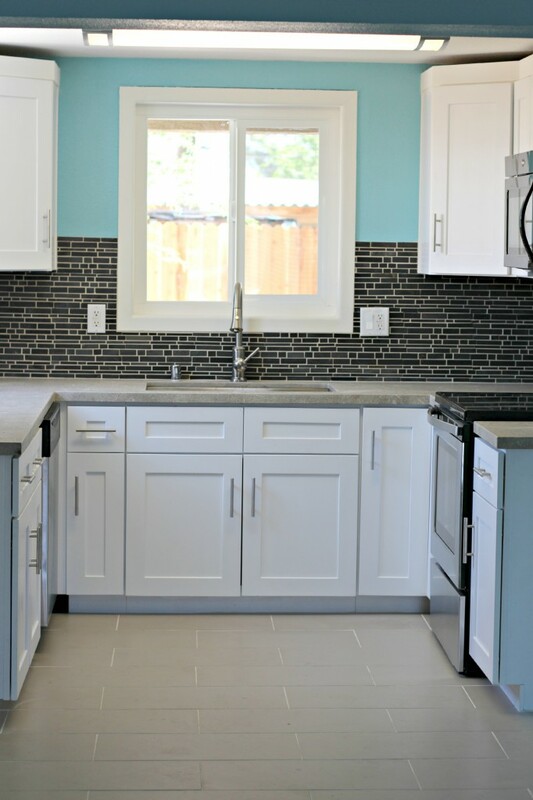 There was a house right across the street that was getting a complete exterior makeover and other neighbors fell in love with the kitchen in this house giving them ideas for their own renovation. 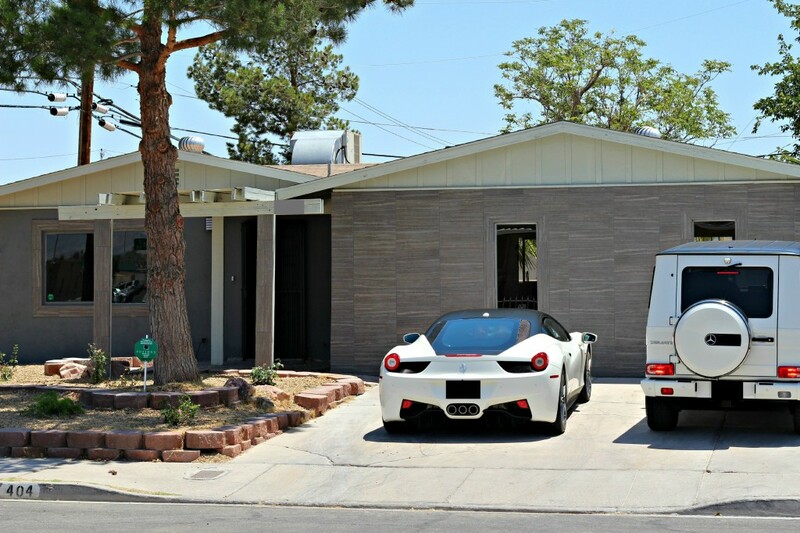 I love that Flipping Vegas is motivating other homeowners to spruce up their home and neighborhood. Amie is passionate when she talks about the renovations in all the homes they’ve completed. She has a vision for each home and loves each one in a different way. Scott has amazing vision when it comes to purchasing the right home even if it doesn’t look like it in the beginning. I love that Amie and Scott believe that no matter the cost of the house you should try to make it the best you can. Even though this house is pretty small and a little older, who wouldn’t love to come home to this gorgeous kitchen? Pride in ownership is a huge deal. 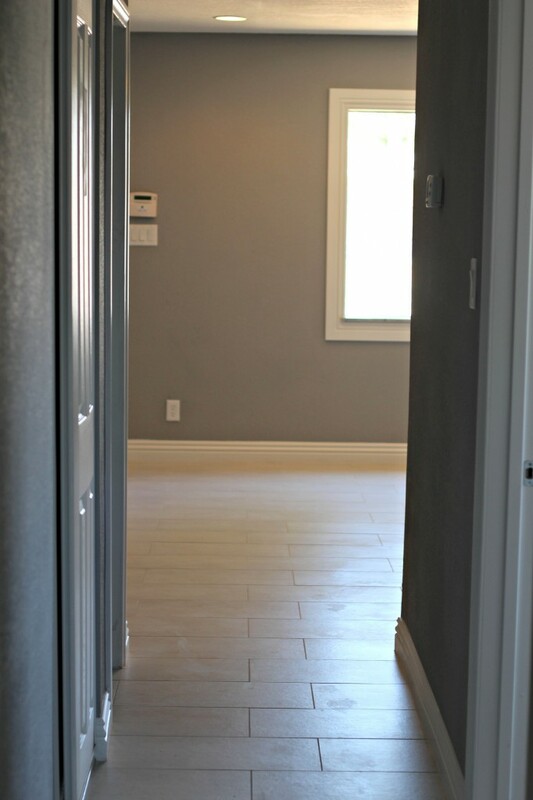 I love this floor, and the walls, and the front door I don’t have a picture of. I so wish I could paint my walls. Occasionally they find awesome furniture left in the house, like this piece. Amie had it painted this beautiful blue. I really wanted to find a way to sneak it home. Looking at it now, I still want it! Darn! I’m so impressed with the turnaround time on these homes. Scott and Amie work their butts off making sure everything gets done by deadline with quality workmanship. Look at all the texture in this one home. The wood plank wall is actually the old fence that was in the back of this house. They built a new fence and Amie took the old pieces to create this amazing wall. Wouldn’t it be great for photo ops? One of Amie’s decorating tricks is to take an expensive tile and pair it with an inexpensive one to make it reasonable for almost anyone’s budget. I feel like this house should be walking distance from the beach. It’s super hot in Vegas but I felt cooler just walking around in it. The colors of the walls and the tile and the rock gives a calming, cool feel. No matter the size of these houses a lot of thought and work have been put into making them feel like home. Not only is Flipping Vegas entertaining, it’s also very informative. There’s a little take home renovation and/or decorating lesson in every episode. Can I just say I love this picture! They really do have the cutest relationship. After our little house tour we went to lunch and were able to just talk and get to know each other better. Amie and Scott are just delightful. They’re friendly, smart, fun, and genuinely nice. It was a pleasure spending the day with them. Make sure to watch the next season of Flipping Vegas, I’m sure there will be a few surprises coming your way. They flipped a home in our neighborhood this past year and it was so fun to watch the whole process as it went on. It was the same floor plan as ours so I had to go in and have a peek! I was super jealous of the gorgeous moldings that went in! Oh, my goodness! My husband and I watch that show! The drama! Glad to know they are pretty down to earth. That looks like a really fun day! I’d want to pick her brain about decorating for less, too! Thanks for the info about them! Wow!! What a neat experience! I enjoyed reading your behind-the-behind the scenes! I’ve not watched either but I am definitely going to look for it now. How cool, you must have learned so much! Laura recently posted..Friday Favorites: Job Chart for Kids, Simplify Vacation with a Packing List + more! I love that show! That’s so cool that you got to meet them! Maybe you’ll get to be on a show sometime?! Beno’s Floooring has been fortunate enough to be bring Amie’s visions to life. Nothing is unobtainable. We work well together through it all! The bathrooms, kitchen and fireplace transformations are my favorite to do. Our installers work day and night to get these homes done to perfection. I won’t accept anything less, and neither will Amie and Scott. Stay tuned! Check your local listings on A&E. Oh my amazing and beautiful!! I haven’t seen the show, but now I’m going to have to check it out. I love getting fun new ideas for less. Thanks for sharing! Will Scot and Amie be comming to the Philadelphia, Pa with their free lunch. Love how they saved the beautiful cabinet. Aime called it “electric stained glass blue”‘. 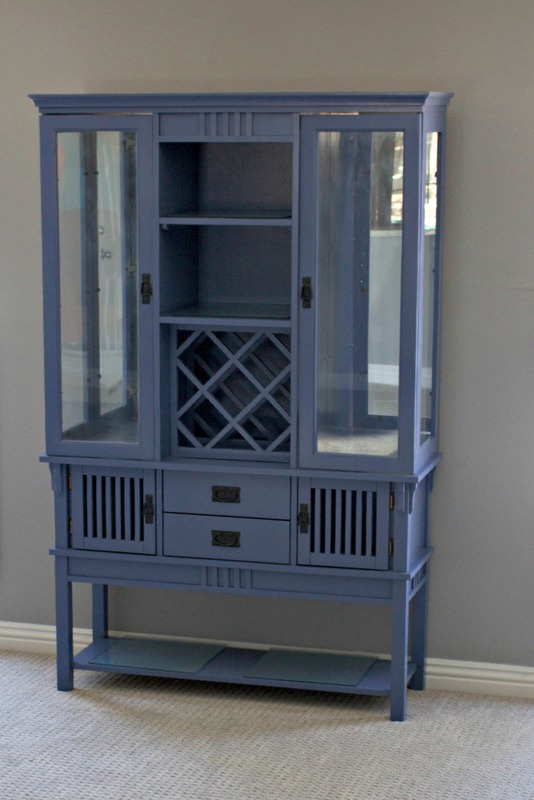 What is the correct name of this color and what brand of paint?